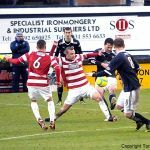 Raith slumped to their second home defeat of the season after a poor performance contributed to a 2-0 defeat at the hands of Hamilton Academical. 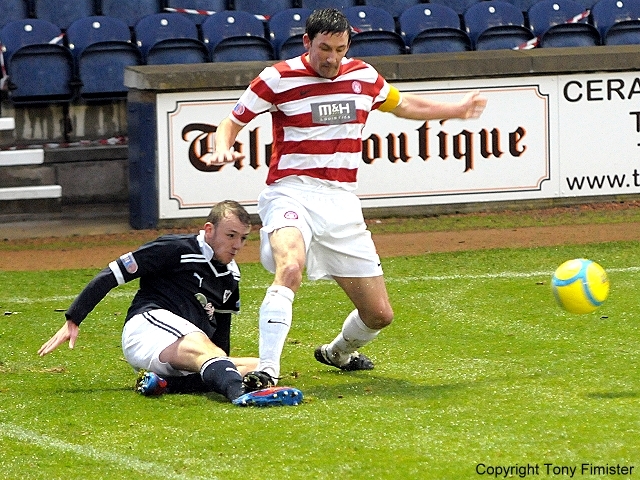 Rovers made two changes from the starting XI that began last weeks match at Livingston. Laurie Ellis stepped in for the suspended Simon Mensing, while up front, Greig Spence replaced Pat Clarke who dropped to the bench. 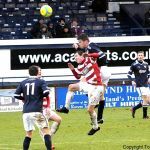 Although Raith started the match as favourites it was the visitors who went into the game in the better form, with just one defeat to their name since they lost 1-0 at home to Raith back on the 27th of October. 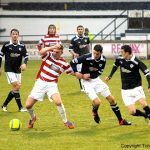 In comparison Rovers have only won twice in the nine league games since that visit to New Douglas Park, so perhaps it shouldn’t have been too much of a surprise that it was Hamilton that started the game in more confident fashion. 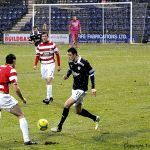 It took them just 2 minutes to fashion a good opportunity but a lack of awareness from Raith also contributed to it. Ali Crawford flighted a corner in and Michael Devlin found himself with yards of space to himself inside the box but his downward header was cleared by Thomson who was covering on the front post. 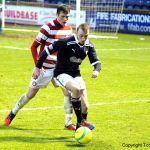 The early signs were worrying from a home fans perspective with Rovers struggling to get any sort of grip on the movement of Crawford, Jon Routledge and especially Stevie May who, despite ploughing a lone furrow up front, was dropping in-between Raith’s midfield and defence and proving a real handful. It was May and Routledge who provided the next chance for Hamilton although it ended in comical fashion after May evaded two challenges to give himself a sight at goal before swiping at fresh air and careering into Allan Walker, much to the amusement of the supporters. 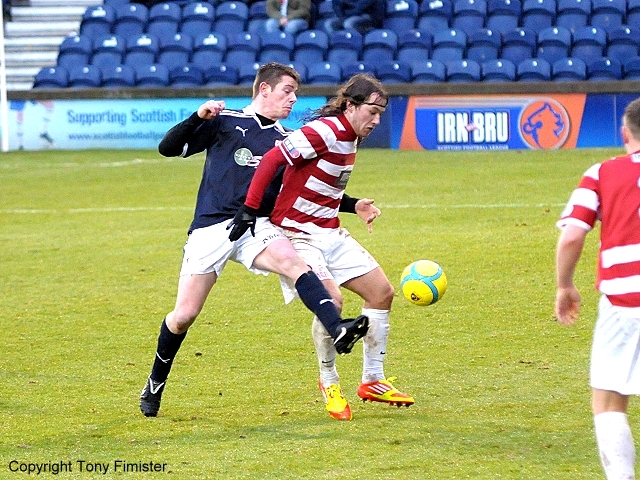 It was the on-loan St Johnstone man who would have the last laugh though. May did however do better with his next two attempts. 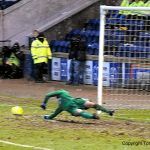 Firstly his well-drilled shot was gathered low by McGurn at his left hand post and then his first time shot from the edge of the box after a cut back from Louis Longridge produced an even better save by McGurn to his right. 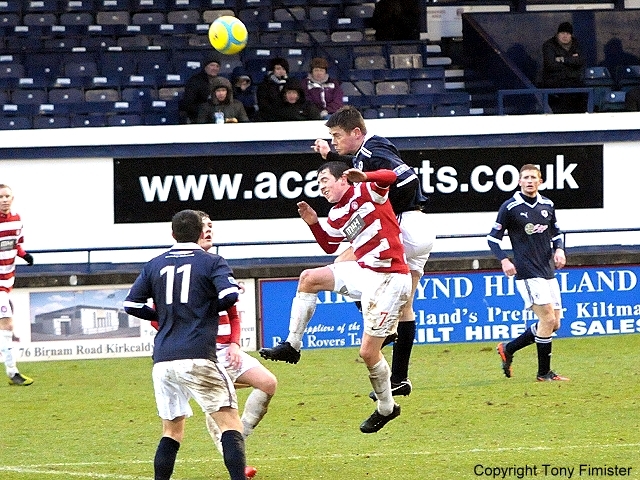 Rovers involvement in an attacking sense had been limited to a couple of poor crosses from Grant Anderson and David Smith and it said much about how lacklustre thy had been that the only roar of approval that the Raith fans made, came after a strong sliding challenge by Hill on May after 35 minutes. 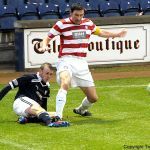 The game was passing by the midfield altogether with Walker and Stuart Anderson struggling to win a battle in the middle of the park that saw them outnumbered and outmanoeuvred. Out wide Smith and Grant Anderson were both being watched well and as a result the front pair of Graham and Spence were starved of any service. Their only attack of note came on 38 minutes when perseverance from Spence allowed him to play in Smith who aimed a good cross to Graham but from a fair distance out his header lacked any pace to trouble Cuthbert. 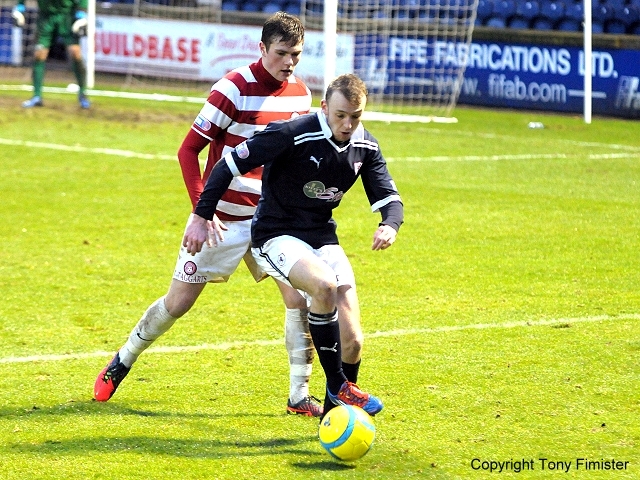 The half ended as it began with Hamilton in the ascendency and almost scoring. Walker’s foul, 25 yards from goal allowed Crawford to swerve the ball over the wall to McGurn’s right but again he repelled the effort by palming it clear. It seemed inconceivable that Rovers could play as badly in the second period as they did in the first, and there did seem a bit more zip about them at the start of the half. 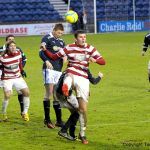 A through ball allowed Graham to get in behind the defence for the first time in the match but as he held the ball up for support, his cross into the box evaded both Walker and Grant Anderson. Just a couple of minutes later Rovers had the ideal opportunity to take the lead. Thomson did well to chase down what appeared to be a lost cause in the corner, succeeding in knocking the ball into the path of Walker who was bundled to the ground inside the box. 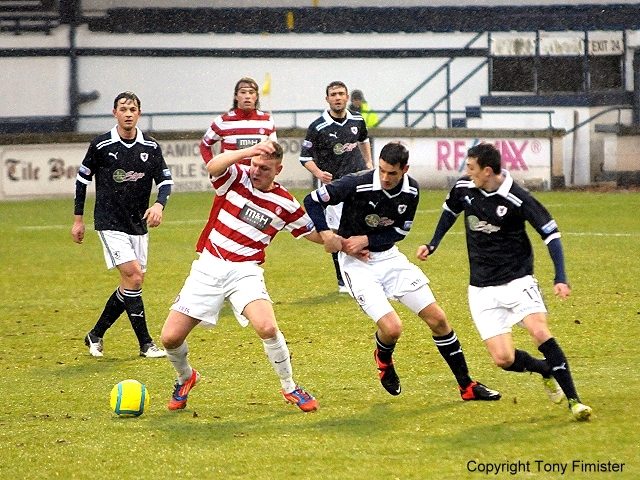 The ref pointed to the spot and Allan Walker grabbed the ball immediately to take the kick himself. Unfortunately for Rovers his firm shot was too close to Cuthbert who read it correctly, diving to his right to make the stop. 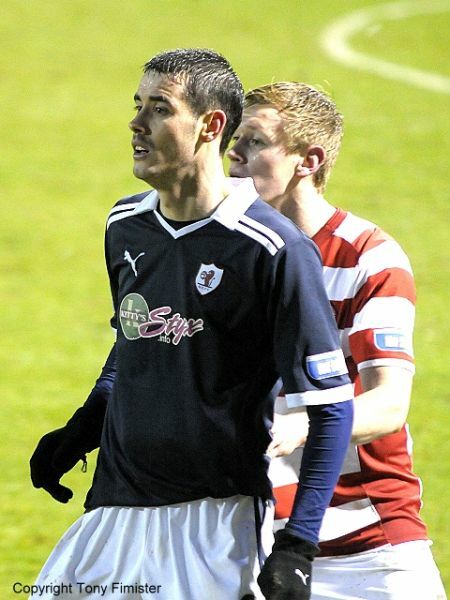 The concern at that point was that the penalty miss would deflate the Raith players after an encouraging start to the half, and those fears were almost realised just a few minutes later when McGurn had to make his best save of the day to tip over a fierce shot from the edge of the box from Longridge. 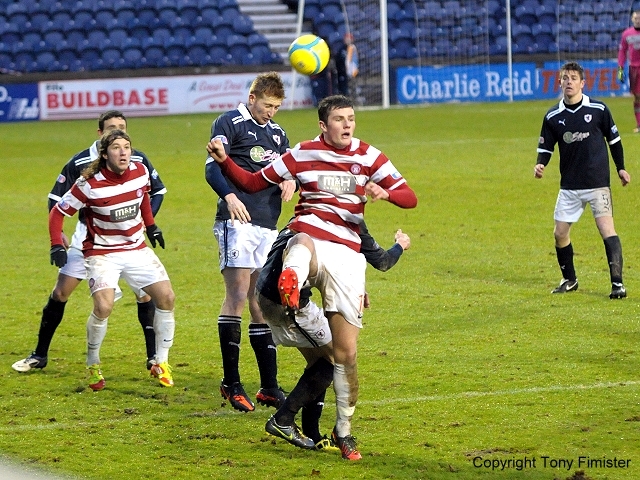 Just 60 seconds later though Rovers almost opened the scoring with their best move of the match. Graham and Spence combined well on the break and fed the ball out wide on the left to Smith. The Hearts youngster whipped in a great ball that Grant Anderson got the slightest of touches on but Cuthbert reacted well and got down smartly to keep it out. Stuart Anderson was then booked for what appeared an innocuous looking challenge on Longridge on the half way line. 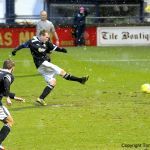 The Raith fans left the Hamilton midfielder in no doubt that they thought his reaction was exaggerated, and they felt justified in that belief when Longridge’s first contribution after treatment was to drive unhindered into the Raith box, only to see his chance closed down by McGurn. 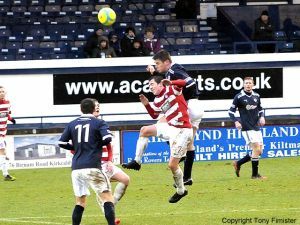 Raith’s greater presence in the second half was being provided by David Smith who was drifting inside with greater effect, and in truth was the only midfielder to provide a real link to the front men. 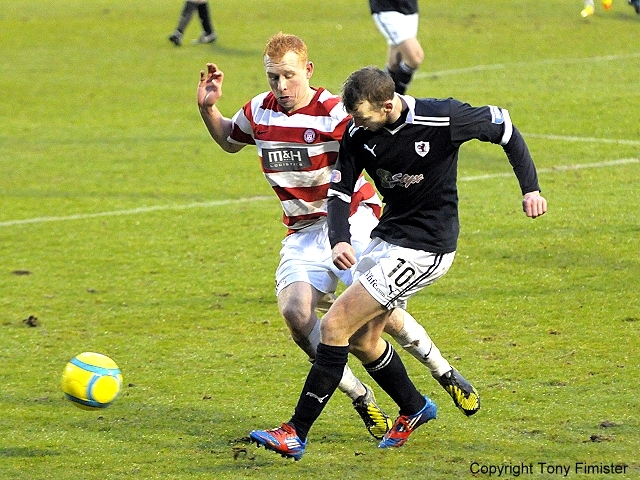 Despite his improved showing however, he should have done better when he was presented with a chance after 67 minutes. Grant Anderson was the provider, crossing the ball deep to Smith who had a chance to take it early, but instead he delayed his shot, allowing Cuthbert to set himself, and the Hamilton custodian kept the low shot out with his leg. 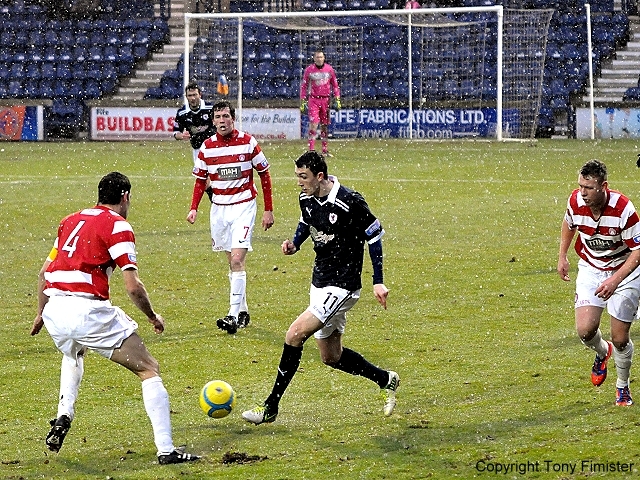 Grant Murray made his first change on 74 minutes, substituting Greig Spence for Pat Clarke who, despite the bitter cold, was the only man on the park to be wearing gloves. 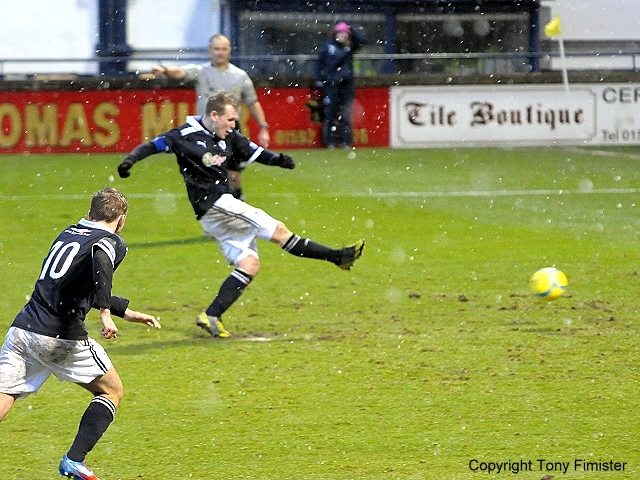 His decision to do so was proven to be spot on however, as within seconds of his introduction, Stark’s Park was engulfed in a fierce blizzard. 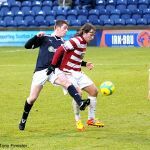 The freshening up of the strike force barely got time to be used though as centre half Dougie Hill was given his marching orders for a rash challenge after 82 minutes. Diving into a loose ball 5 yards inside the Hamilton half, his lunge took the ball but looked like, from first impressions at least, that he may have went in two footed. While fans claimed he played the ball, the fact that Grant Murray had no quibbles with the decision after the match possibly tells its own story. 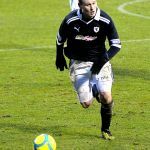 The dismissal meant an immediate tactical switch with Reece Donaldson coming on for Smith and going to left back, allowing Eddie Malone to move to centre half. The move did little to solidify things at the back however, and Hamilton had the ball in the net just 2 minutes later, but May’s celebration was cut short by an extremely late linesman’s flag. They weren’t to be denied for long however, and as has so often been the case this season the damage was done from a set piece. Swung in from Hamilton’s left a mix up involving Malone and Ellis seemed to end with the latter deflecting the ball into his own net with just 2 minutes remaining. 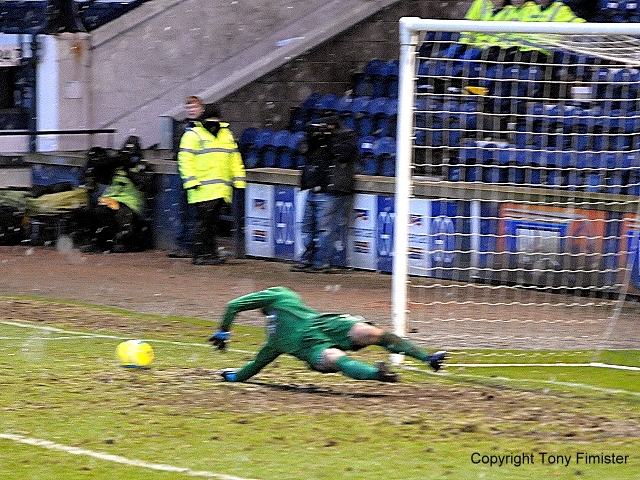 While Raith attempted to conjure up a late equalizer the best they could muster was a half chance from Grant Anderson whose snap shot was deflected clear. 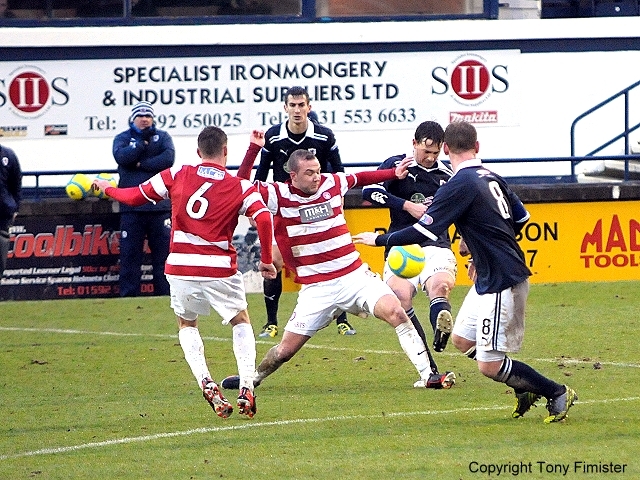 Instead it was Hamilton who doubled their lead in injury time when Stevie May hit a fierce free kick past the wall and in off the post after McGurn failed to keep it out. Full time brought not only a defeat, but the news that Dumbarton had secured their fourth win in five games, meaning that although they still reside in bottom position, they’re just 8 points behind Rovers with 2 games in hand. With Hamilton and Cowdenbeath also below the Kirkcaldy club with games in hand, Grant Murray could, for possibly the first time this season, be starting to look at the pack below his side rather than those above. Teams have been announced. Only change for Rovers is Ellis replacing the suspended Mensing. snow back with a vengeance and its very windy now. Baltic too!! McGurn man of the match. G Anderson shoots should have passed to Graham who was better placed.